The former Trump campaign chairman is scheduled for sentencing next month. 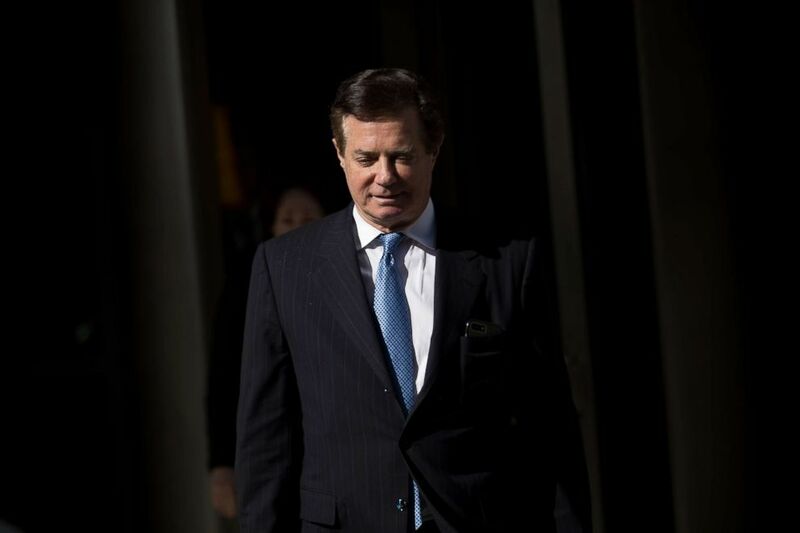 The defense counsel for onetime Trump campaign chairman Paul Manafort argued in court documents filed late Monday that their client should face a prison sentence “substantially below the statutory maximum” for crimes to which he pleaded guilty last year. Manafort pleaded guilty to two counts of conspiracy last year in a case brought by special counsel Robert Mueller as part of his investigation into Russian meddling during the 2016 presidential election. Citing their client’s age and physical condition, Manafort’s legal team asked for leniency from the federal judge who will sentence him next month in Washington, D.C.
Manafort’s repeated lies reflect a "hardened adherence to crimes and lack of remorse," prosecutors wrote. The special counsel’s office previously indicted Manafort, 69, in separate cases in Virginia and Washington, D.C., on charges ranging from financial crimes to conspiracy and witness tampering. He faces up to 10 years in prison in the Washington case and up to 25 years in Virginia, according to statutory maximums. Manafort’s legal team argued that his sentence in the Washington case run concurrent with whatever sentence he’s handed in the Virginia case. Sentencing in both cases is scheduled for next month.